I heart Oregon...I have lived in this magical place for about 4 years and still feel as if I have so much left to uncover. Amongst the areas I do know of I definitely have my favorites...this is one of them. 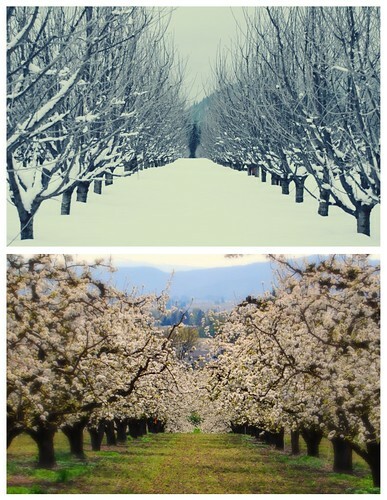 An amazing valley, full of divine orchards, quaint barns, and surrounded my mountains and rolling hills. The best part is that this is only one hour from my house!